Within the highly-driven status-infected bourgeois Parisian culture, those who look to make a new life in “Le Sud” may be divided into three categories: those who search out the ‘bling-bling’ life of comfort in the Riveria and tony towns along the Mediterrean, those who cherish the quiet countryside of Provence as gentleman farmers with an abundance of hired help, and those who get their hands dirty in working the land as winemakers. The latter activity – one can name numerous captains of industry who have taken up the craft of vinification throughout Provence – is the most meritorious. After all, what is more glorious than serving your own wines at a luncheon on your terrace overlooking your vineyards. For the David family of Les Vignobles David in the Gard Provencal, such a luncheon offers a cinematic gaze across an Olympic-size pool and vineyards towards the village of Castillon-du-Gard and the iconic Pont du Gard, the ancient Roman aqueduct bridge constructed to carry water from Uzès to Nîmes. In 1991, the Paris-based Davids purchased a vineyard and olive groves near the village of Saint-Hilaire D’Ozilhan west of Avignon and constructed a Provencal-style house with the obligatory terrace. Today, fils Frédéric, aided by père Alain, looks after producing Côtes du Rhône (42 acres), Côtes du Rhône Villages (49 acres) and Pays d’Oc white wines from about 100 acres of vines. 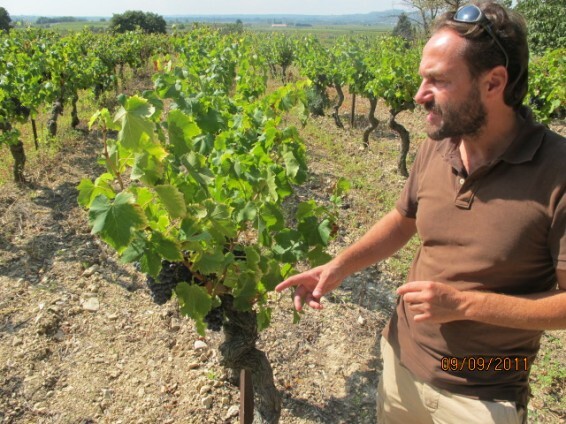 The Davids recently took control of a parcel of vines in the Châteauneuf du Pape. Red wines dominate production at 85%, with 10% rosé and 4% white wines. 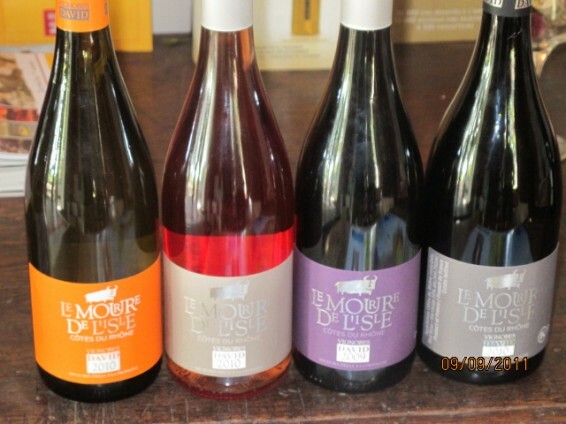 What distinguishes Les Vignobles David among winemakers in the region is that 28% of their production is dedicated to Kosher Wines vinified in accordance with the laws of Judaism. To be declared a kosher wine, a Sabbath-observant Jew must be involved in the entire winemaking process and all ingredients used must be kosher. Furthermore, all equipment must be dedicated uniquely to the process of making kosher wines and the wine is kept free from grain, dough and bread. At Les Vignobles David, an authoritative rabbi visits the winery to verify the process. Le Voyage d’Ulysse: 40% Syrah, 30% Mourvèdre and 30% Carignan. This vintage can be held for four or five years. Prieuré La Clastre: 81% Syrah, 9% Grenache, 5% Mourvèdre, 5% Carignan. Drink within three years. From Avignon, consider wrapping in a tasting at Les Vignobles David into an itinerary to the Pont du Gard and to Nîmes. There is a wine shop on the property for direct purchase. If you do visit, bring along a treat for their shy black kitty Twingo. This entry was posted in Wine and tagged Wine. Bookmark the permalink.